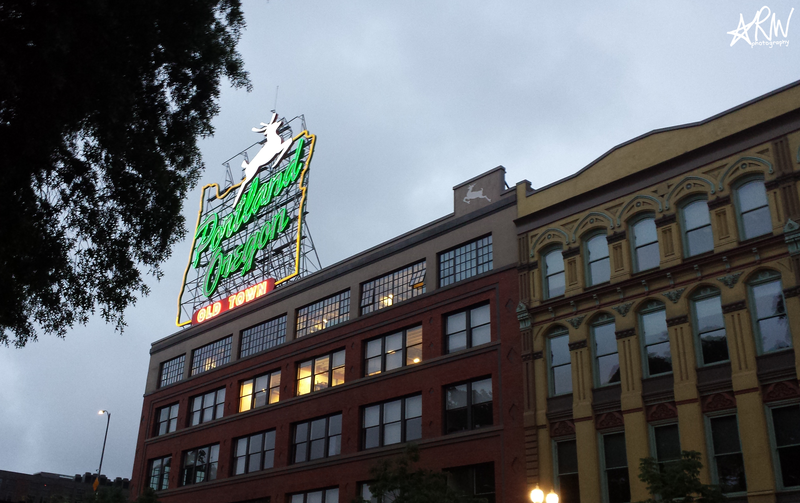 This semester, I decided to take an overload semester just for a chance of going to Portland. As difficult as all of the school was at times, I’m glad I did it. 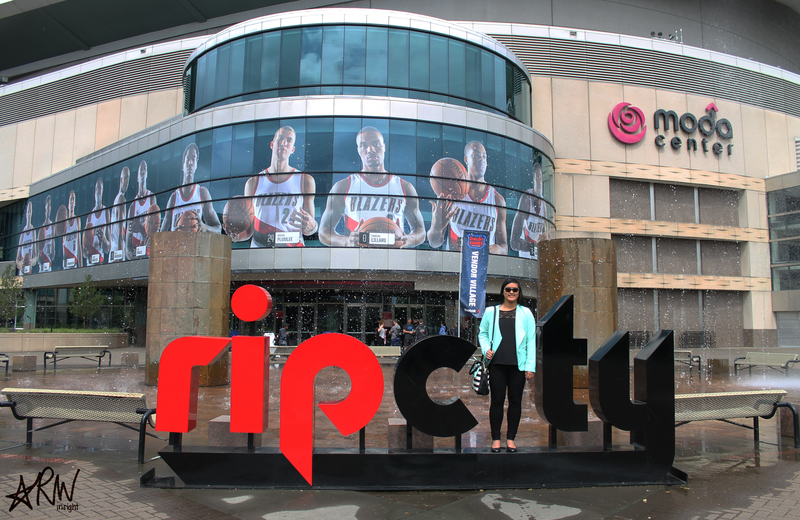 I enrolled in a second eight-week Media course called “SportsMedia Industry Immersion” and the class was centered around a week-long trip to Portland scheduled for after finals, from May 15-21. What really sold me on the trip was the potential visit to Nike World Headquarters. I first learned about the class/trip to Portland over winter break, so sometime in late December or early January, and the description mentioned how Nike would likely be one of the places visited. I absolutely love Nike, so that alone was enough for me to want to go on the trip. 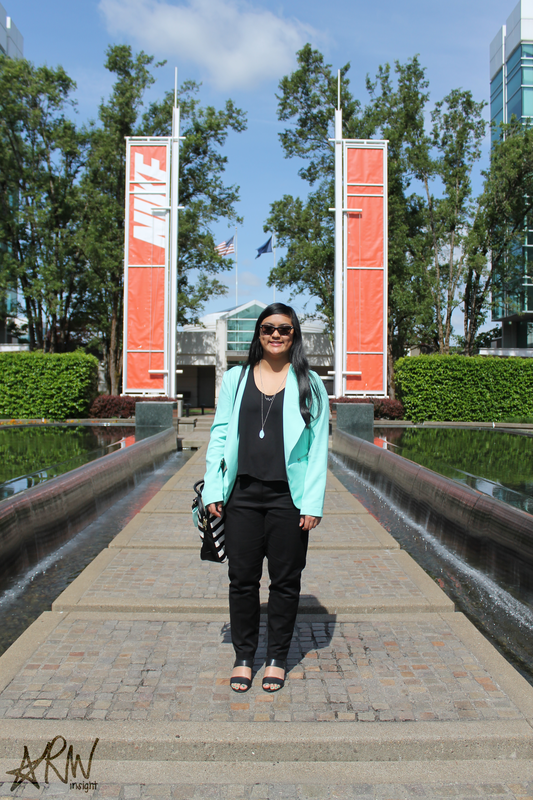 Once Nike was confirmed, seeing their campus was the thing I was most looking forward to. Interestingly enough, going to Nike wasn’t necessarily the best part about the trip to Portland. But really, that’s just because of how great of a time I had in Portland as a whole. A couple of people in my class ventured to the famous Voodoo Doughnut after our welcome dinner at Mamma Mia Trattoria during our first night, and it did not disappoint. The line at Voodoo was very manageable and not too long, which was great. My twin sister, Amanda, and I bought a box of four doughnuts, but decided to save them for breakfast the next two days. They still tasted good, too, so we didn’t regret our choice to wait on eating them. We had a difficult time deciding which doughnuts to get, though, because there is such a wide variety of choices there. But we, of course, weren’t about to try every single doughnut that we wanted to. The two doughnuts we definitely wanted were the Dirt doughnut, a raised yeast doughnut topped with vanilla frosting and Oreos, and a Marshall Mathers doughnut, a cake doughnut with vanilla frosting and mini M&M’s. Amanda and I love Oreos and chocolate candy, so those two were easy picks. 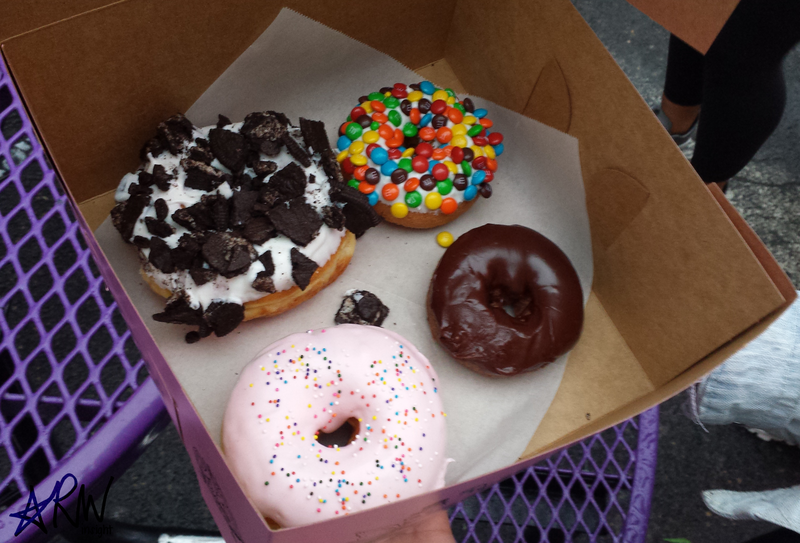 We also knew we wanted one of Voodoo’s boxes because it’s iconic, so we decided to get four doughnuts. For the other two, we settled for a double chocolate doughnut, a chocolate cake doughnut with chocolate frosting, and a Homer Simpson, a raised yeast doughnut topped with pink frosting and rainbow sprinkles like the one found in The Simpsons. 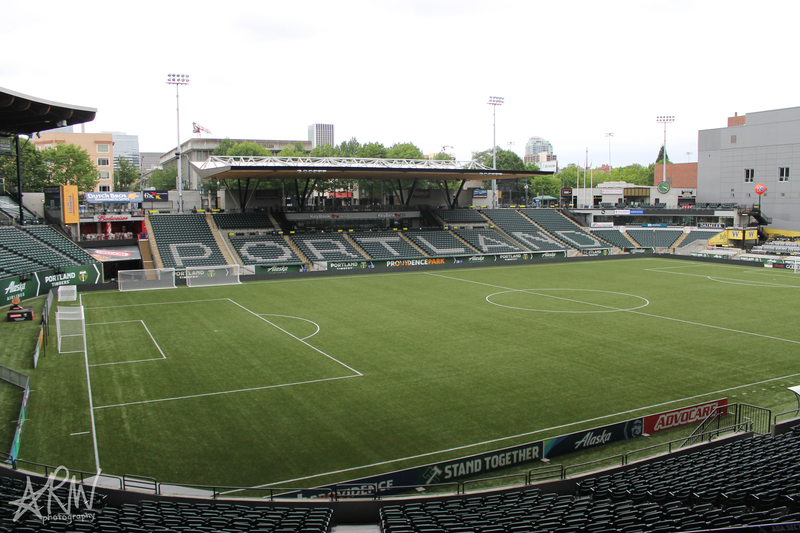 On our first real day of being on the industry immersion trip, Monday, the class visited Providence Park, the home to MLS’ Portland Timbers and NWSL’s Portland Thorns. We went on a tour throughout the venue, learned about its history, and even got to stand on the sideline of the field for a brief moment. It wasn’t overly exciting or anything, but considering I had never been to a professional soccer stadium before, it felt awesome to get such access during my first visit to one. On Friday, our last day with class events/trips, we went to a Timbers T2 game. The game didn’t feature the actual Timbers team of the MLS, but rather their second team. Think of it as a backup, second-string team. The T2 team plays for the USL and is trying to make its way up to the MLS Timbers team. Before the game, my class was fortunate enough to have a Q&A session with Mike Golub, the president of the Timbers, Timbers 2 (T2), and the Thorns. He was, by far, the best of any person who did a Q&A with our class. Golub spoke in a very enthusiastic matter and was very engaged with our class. He made it a little more personal by getting to know some of the students better, asking each person who asked a question for their name. He even asked some people about their background as a sports fan. Overall, he was phenomenal and very gracious with his time. I believe we were only scheduled to speak with him for 10 minutes, but it lasted much longer than that. The first lunch Amanda and I ate was at Pieology Pizzeria. Pieology isn’t actually unique to Portland, but I figured there aren’t any of them near where I live or go to school, and I love pizza, so how could I go wrong? Really, there was nothing too special about their pizza. Pieology is one of those pizza places where you customize your own pizza, and I got a rather normal pizza: red sauce, mozzarella cheese, sausage, bacon, spicy chicken, and spinach. 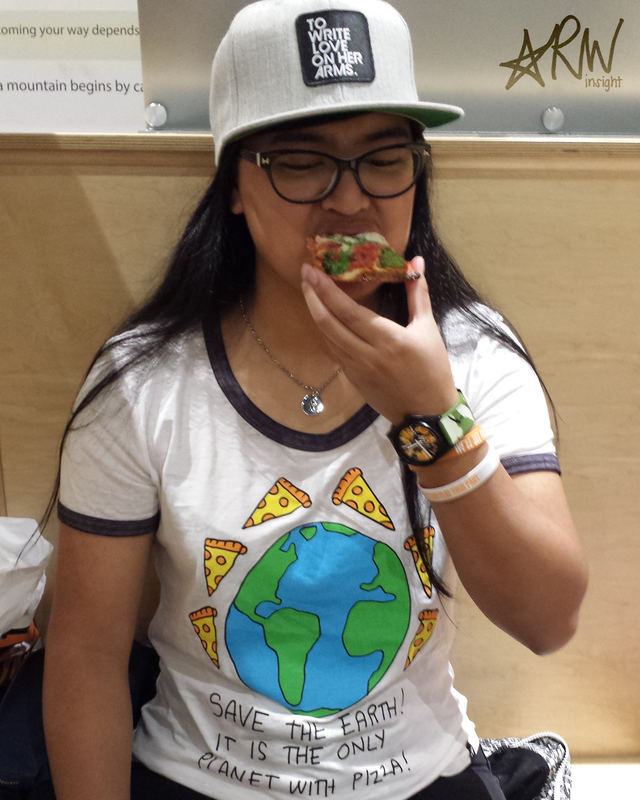 But I knew since the night before that Amanda and I would be going to Pieology, so I wore a shirt just to match the occasion. This day was my most anticipated one heading into this trip all because of one stop: Nike World Headquarters. I’m not one of those people who will only wear Nike gear, but I will admit that I absolutely love Nike. That being said, it was very surreal being on their campus. Heck, I was excited about it the moment I woke up. At Nike, our class started with lunch at Joan Benoit Samuelson. As I sat in the cafeteria there, eating my lunch of a chicken sandwich, salad, some fruit, and a gigantic chocolate chip cookie, I just kept thinking about how many famous athletes have also probably eaten in that same cafeteria. I know it sounds cheesy, but it’s really how I felt. In the cafeteria there, framed Sports Illustrated covers adorned some of the walls. It was pretty awesome to see the vast array of athletes and coaches featured: Michael Jordan, Coach K, Pat Summit, Jimmer Fredette. We didn’t get to see too much of the inner workings at Nike, though, for understandable reasons. People are doing work, working on unreleased products and things like that, so it only makes sense for them to keep people out. I learned a lot about Nike’s history and even saw the original waffle maker Bill Bowerman, Nike’s co-founder, used to make the waffle sole. That original waffle maker didn’t actually work for him because he hadn’t greased it so the sole would come out, and instead it got stuck. But it was that waffle maker that gave Bowerman the idea to create a waffle sole. As much as I prefer Nike to Adidas, I preferred the overall visit to Adidas more than the visit to Nike. Don’t get me wrong: I liked being at Nike much more, but the overall experience of everything my class got to do at Adidas was better than Nike. The first thing my class did while at Adidas was listen to a presentation, and we learned a lot about who Adidas is trying to be as a company and where they want to go/what they want to do in the future. We didn’t hear too much about Adidas’ history, which was really nice, because everything we heard at Nike was about its history. 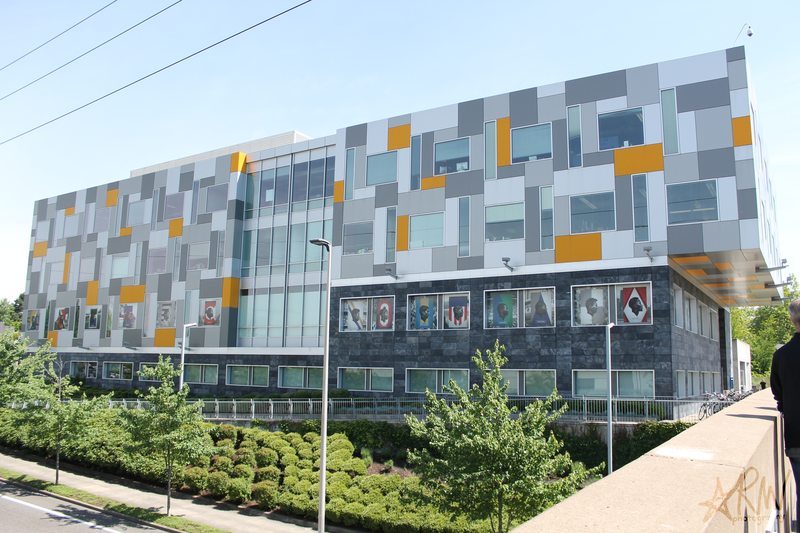 After that, we went around Adidas’ campus a bit, but we weren’t allowed to photograph many of the places we went to. As unfortunate as that may seem, it just meant we were seeing exclusive stuff, so it was pretty neat. 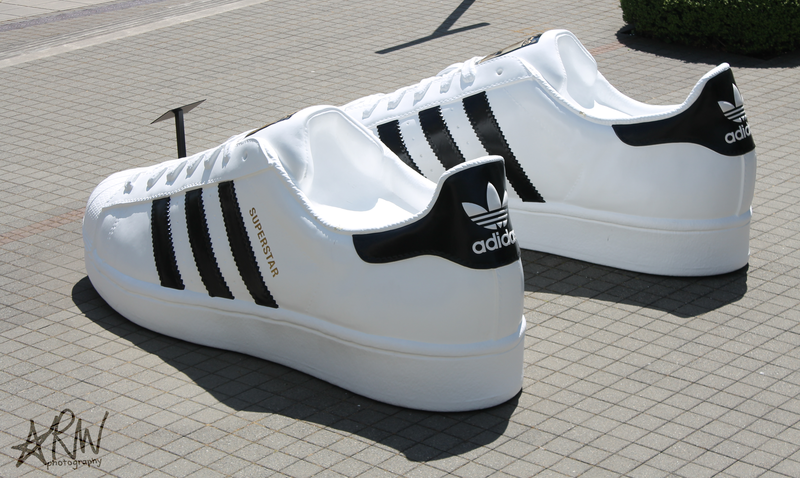 For example, we got to see where some shoes were made, like the Adidas Superstars that have become popular again. The best part about going to Adidas, though, had to be shopping at the employee store. The perk of shopping at Adidas’ employee store is that most everything is 50 percent off, and boy, did I take advantage of it. I left the store with a pair of Tubular Radials, a pair of American-flag patterned crew socks, Derrick Rose socks for me and my brother, Derrick Rose basketball shorts, a Portland Trail Blazers T-shirt, a women’s Originals shirt, and awesome soccer pants that I’ve always wanted. Honestly, I would have probably bought even more stuff if not for the fact we were on a time constraint. Wieden + Kennedy was one of two advertising agencies my class visited, and I honestly didn’t take too much away from the visit. But that’s because I’m a journalism major and not an advertising student like many of the students in my class, so I’m hopeful the visit there was beneficial for them. That’s not to say I didn’t like going there, though. 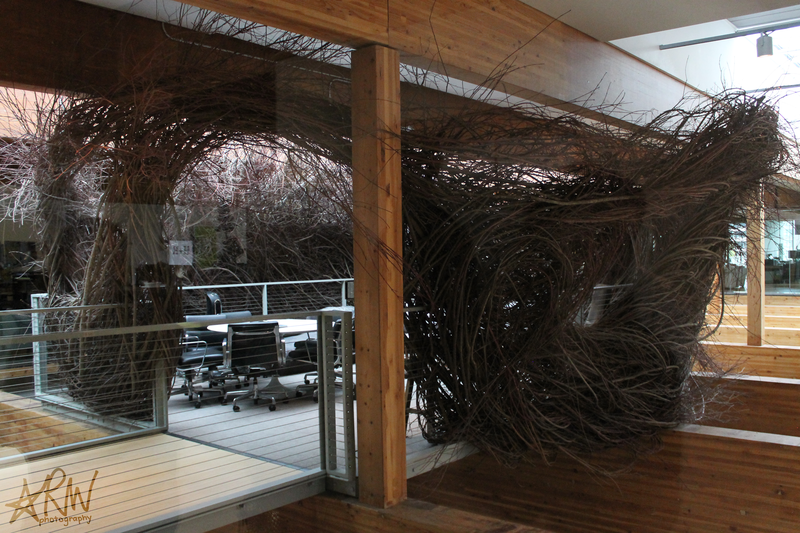 W + K’s office space is very quirky, and I say that in the best way possible. It was just such a unique working space, and it’s hard for me to describe because I had never seen anything like it. But let me just say that there’s an awesome nest room (yes, a nest room, meaning the room is designed like a bird’s nest), a Dikembe Mutombo arcade game on one of the floors, and a chill lounge area on the balcony of their top floor. I’d certainly love to work in such a cool space some day. Going to the Moda Center was tied for second with Adidas as the place I was most excited to visit because I’d be going to an NBA arena. I was really hoping that maybe some of the Blazers would be there—particularly fellow Illini Meyers Leonard—but that didn’t happen. Regardless, it was great to go to the Moda Center. We were given a lot of access, as my class got to see the Blazers’ locker room, their training room, and the broadcasting room. We even got to walk through some of the office space there, and each person’s office/cubicle was identified using a personalized Blazers jersey. I thought it was just about the coolest thing ever. We weren’t allowed to take photos in the locker room, but I was still pretty psyched to be standing where NBA players had. I’ll be honest: I wasn’t too excited for Columbia, nor did I really have any expectations for the visit there. But it was pretty amazing. 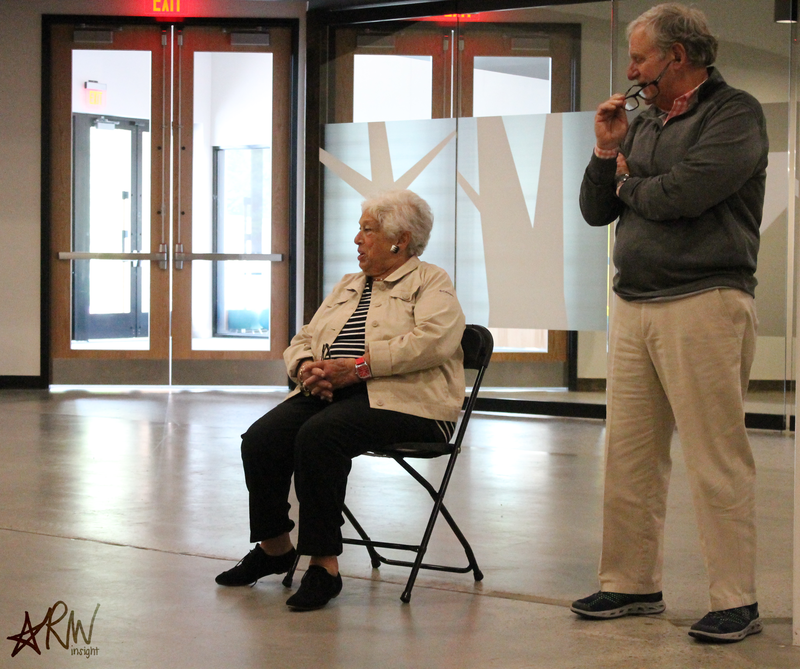 For one, my class had the pleasure of meeting and listening to Gert Boyle, Columbia’s chairman of the board, and her son, Tim, who is Columbia’s CEO. We didn’t meet—let alone see—anyone of such high ranking at Nike or Adidas, so that was pretty special. 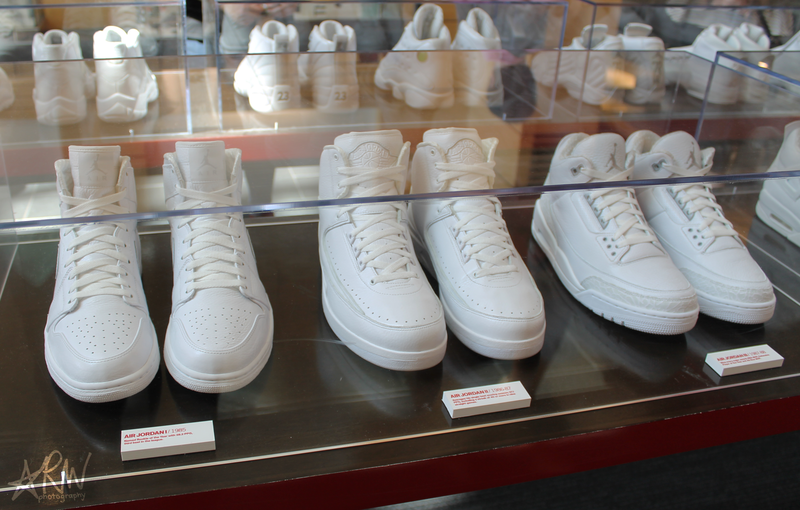 As was done with Nike and Adidas, though, we toured Columbia’s headquarters. My favorite part of the tour had to be either the mock store display or the mock store I saw on the tour. I never realized how much thought is put into a store display and how the whole thing essentially has a theme and must be cohesive. As for the mock store, we got to see a yet-to-be released coat that is supposed to be the most sustainable jacket yet. Following the tour, we listened to a presentation, and it was the most helpful one for me yet. To begin, the class learned about the Columbia family: Columbia Sportswear, Sorel, prAna, Mountain Hardwear and Montrail. We then learned about Columbia’s public relations and social/content marketing. Those two topics were especially intriguing for me because those are two areas in which I’m interested in and could see myself working in. Even better, we did an exercise after the presentation in which the class was split up into three groups: public relations, internal relations and social media. We were given a situation in which one of Columbia’s jackets that also act as a wearable contained a battery that had been found to burn a person. Given that information, each group had to come up with strategies about what to do. It was a good, realistic exercise that really made us all think — something I’m not sure any other company had done yet. The most important thing we were to take from the activity was that all three groups should work together so everyone is informed and doesn’t contradict another group. We also each received a high quality black journal that had “Columbia” debossed into the cover, two guest passes to the employee store (which, by the way, gave access to whoever had the pass and four guests) and a delicious lunch that we weren’t scheduled to have. Free food is always a plus when it comes to college kids, so that lunch made me very happy. I wasn’t too thrilled about the employee store just because Columbia isn’t a company I buy things from very often, but I saw it as a perfect opportunity to buy myself and my family some outerwear/jackets. And that is exactly what I did. Saturday was the lone free day my class had in Portland, and it was also our last full day in Portland. Amanda and I started out the day by going to The Grotto. 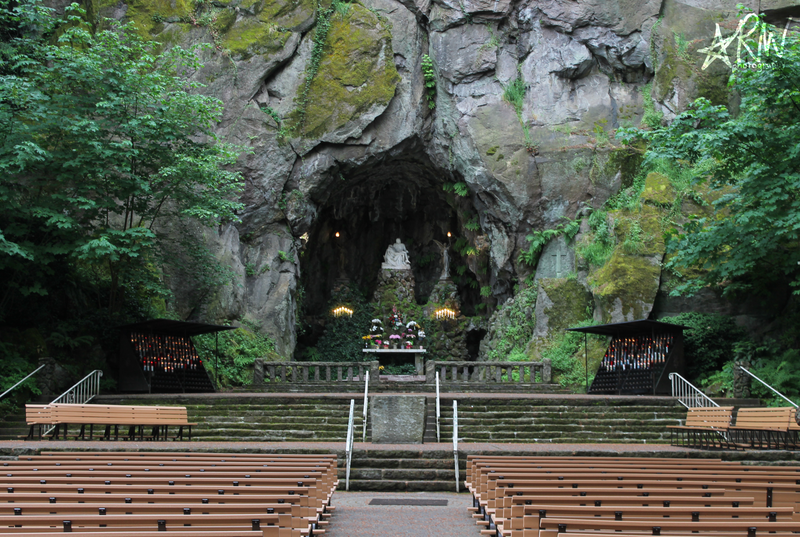 The Grotto is formally known as the National Sanctuary of our Sorrowful Mother and is a Roman Catholic shrine. A few of our classmates went to The Grotto at the start of the week and had only good things to say. I wasn’t sure what The Grotto was or that it existed until I heard others in our class went there, so I looked it up and was immediately intrigued by it. 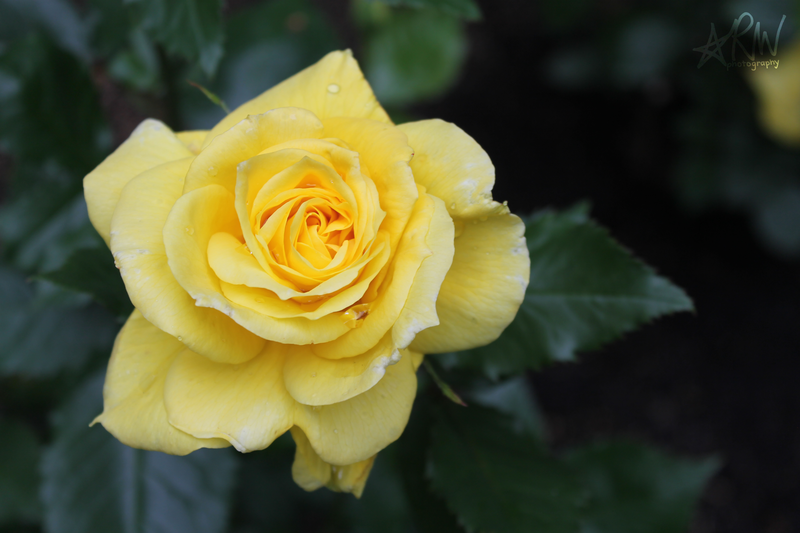 One of the many roses at The Grotto | This shot is probably my favorite out of 200-plus photos I took of flowers there. Amanda and I got up early to go to the 8 a.m. Saturday mass, which gave us plenty of time to explore the place afterward. The Grotto has an outdoor area for mass, too, but we didn’t go when that took place. Regardless, the space for it was beautiful, and it was neat to see the setting for an outdoor mass. The Grotto has an upper level where people can pay admission to see the gardens there, and it was well worth the six dollars. I had never seen so many flowers before, and it gave me plenty of opportunities to practice my photography. I just so happen to enjoy photographing flowers, too, so it was pretty perfect. At the start of the trip, Amanda and I found out there was a cupcake place in downtown Portland, which is where we were staying, and we immediately put it, Saint Cupcake, on our to-do list. If you don’t already know, cupcakes are one of our favorite desserts, so we were thrilled about it. We settled on red velvet, chocolate with vanilla buttercream, vanilla with chocolate ganache, and Big Top: a chocolate chip cupcake with cream cheese frosting, and they did not disappoint. 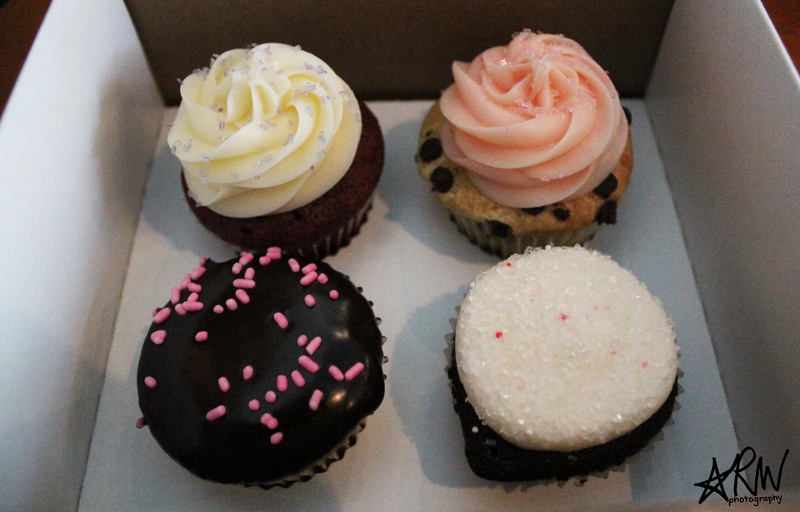 I surprisingly haven’t tried too many gourmet cupcakes, but Saint Cupcake had some of the best ones I’ve ever had.